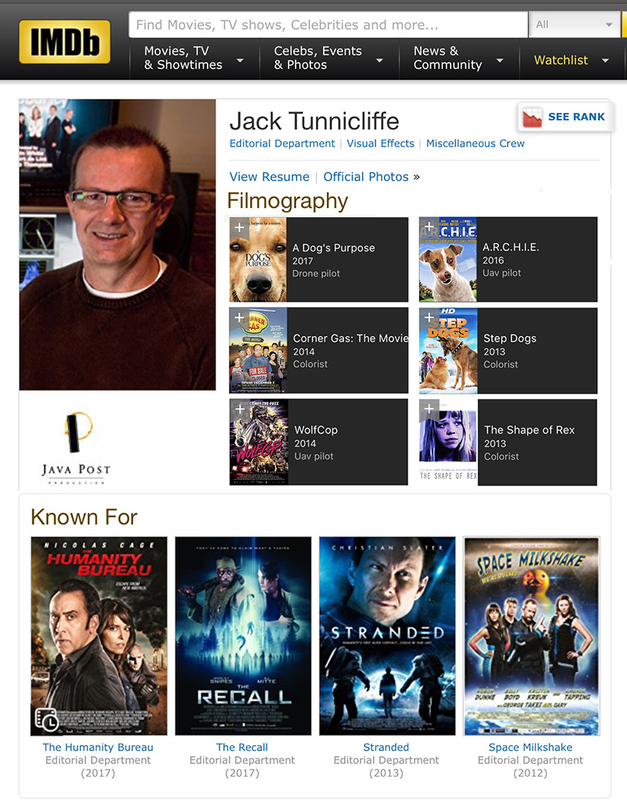 Java Post Jack Tunnicliffe's IMDb movie page - the birthday edition! Happy Birthday to Java Post Production owner, founder, head colourist, and head drone pilot, "Java Jack" Tunnicliffe! For fans and creators alike, the IMDb website is a great source for behind-the-scenes information on "who did what" on all kinds of television and movie projects around the world, including people both in front of and behind the cameras. In Jack's case, his profile includes some of his latest work as a colourist on movie projects such as The Recall, starring Wesley Snipes, and The Humanity Bureau, starring Nicolas Cage. Another movie project Jack is working on - Distorted, starring Christina Ricci and John Cusak - is now in post-production here at Java Post and will be added to Jack's profile when completed. 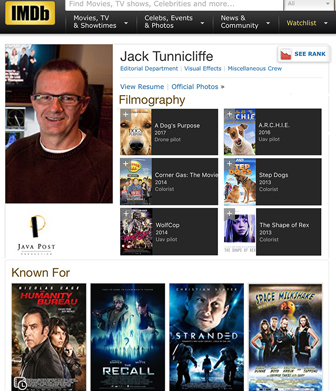 To view Jack's complete IMDb movie page, CLICK HERE.